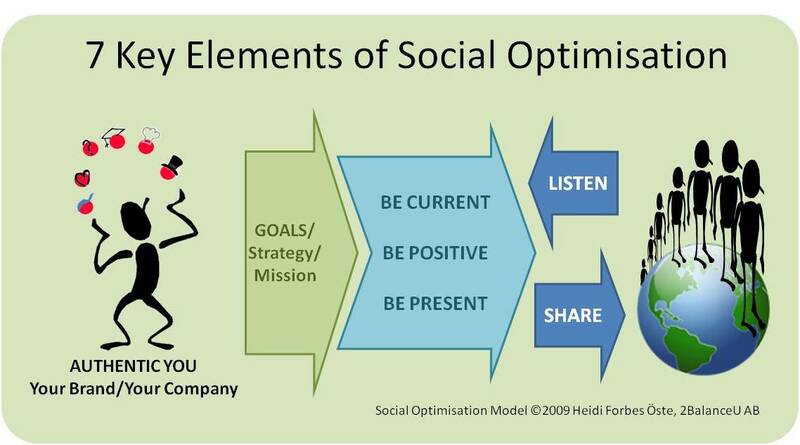 These “rules of engagement” apply to Social Optimisation both online and off. Maximise your impact while minimising effort through following them. BE AUTHENTIC: You can only be what or who you are. This is dynamic and changing as well as multidimensional. Represent that clearly and with both pride in success and humility in failures. It is much easier and will be respected. Deception will only come back to bite you. DEFINE GOALS: Understanding what you hope to gain from a relationship minimises time spent on relationships with no gain, and often drain. Have a strategy and understand both what you have to offer as well as what you need. Unhealthy relationships as well as those connections that just create added noise without relevance most likely should be removed to make room for accomplishing goals. LISTEN: There is much to be learned by listening, we gain insight into others, their needs, their feedback, the knowledge and their experience. Understand who they are and learn their story, this creates depth in relationships. SHARE: Knowledge is a wonderful thing, but without sharing it is worthless. Share what you know with others and build. Connect peers that have mutual needs or potential synergies. BE PRESENT: Isolation is not social. Learn where your peers, or audience are and participate in the conversation. BE POSITIVE: Solutions never come from whining or shooting the messenger. If you see opportunity for improvement suggest it. When you come across something you like, provide praise. BE CURRENT: Update your peers on your status, on things that are relevant and keep current with the tools which will always be evolving. These are the foundation steps. They are meant to be generalised to accomodate both online and offline as well as individual and organisation scenarios. I welcome your thoughts on these “rules of engagement”.